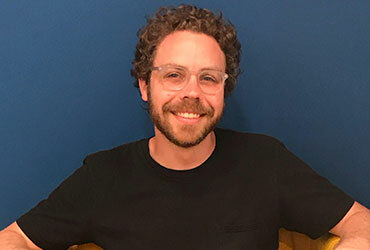 Brian Simpson is a freelance writer and strategist originally from the suburbs in Los Angeles. Brian previously worked in-house at different startups for one to two years at a time. He liked the environment, but was always writing about just one topic for one company. It wasn’t exactly what he wanted. “I was really curious about what it would be like to write up for all kinds of different things, change my voice, and meet different people. You get locked in at one company and if it’s not the perfect situation, you start wondering what else is out there. Landing in New York, Brian wanted to see what the city had to offer immediately. He ended up leaving his old job and dived right in. “Probably just continuing the focus on doing exactly what I want to do,” Brian said when asked about what motivates him to continue freelancing. “At a certain point you have to treat freelancing like you have started your own business and what you want that business to be about. “There’s a transition going from when you’re just starting out and you’re like ‘I’ll take whatever gigs I can get, just trying to make rent’ and when you start to get the hang of it and you switch to being more picky about the companies you want to work with, the kinds of projects you want to do, the type of portfolio you want to build to represent yourself. “I think the really motivating thing is to dream big about “what do I really want to be doing? What do I want my voice to be? What do I want my stamp on this to be? What do I want people to know me for?” And that gets you really excited because you have the freedom to make that. Brian loves writing as a craft and always strives to improve as a writer. Brian tries to have a typical day. “I try to get up in the morning, drink coffee, stretch, go to work early. Even though I’m a freelancer and don’t have to be in the office, I’ve had much better results from doing the routine of ‘get up, go to work.’ At least get some amount of hours in the morning, or just really focused work. Usually sometime around noon or 1pm, I’ll walk home, cook some lunch, let my dog out, do an hour of home ritual recharge and try to get back at in the morning. I learned a lot of the skills I have today from the years that I spent working in-house at startups. I started as a customer service representative, answering emails and phone calls from upset customers. That’s a form of writing of itself, when somebody emails the company and they’re upset and you need to try to make them happy again or solve their problem. I think that was some of my first writing that I was really getting paid for. “Some of the nitty gritty professional skills of writing, certainly being able to hit deadlines, being able to manage your time. Somebody asks you how long will it take you to do this kind of thing, being able to answer that confidently, not over committing yourself, being able to take feedback, everybody wants to tell you what they think about your writing so you have to have thick skin for that kinda stuff. Although Brian enjoys his current lifestyle, there are still some obstacles along the way. “One of them is that everybody works differently… I have some clients who want the work as fast as humanly possible and I have other clients who are very “Oh yeah, I think we can get to that next week.” And so, balancing your own work week with respect to what is being demanded of you on these various fronts can be really challenging. Brian also has to be organized and aware of his situation at all times: keeping in mind everything that he has done and plans to do, tracking his income, being conscious of taxes, and making sure he gets paid at the end of the day.